Everybody is sayin that we should support local artists and small businesses this holiday season; and sometimes it's like, yea, that's a great idea, but just HOW do we do that? Well, I'm going to make it easy for you! Over the next couple of weeks I'll be highlighting some of my favorite items and shops on Etsy. If you don't know about Etsy, they are, in sum, "the world's handmade marketplace." Their mission is to empower people to change the way the global economy works. They offer a unique sales platform for artists and small businesses (perfect right? ), and even better, there are lots of Native artists on Etsy! Rock out. So recently, I opened up an account so that I can highlight Native artists and jewelry designers. Click here to access my public profile, where you can see my favs. This large beaded barrette (shown above) was found on the Etsy page of Julia (Shawanaga First Nation Ojibway band), who operates Sparkle and Bead. This cute yellow, white, and purple barrette also has itty bitty little lady bugs on it too, and would make a great gift for a special niece. $80. I also found this wide pink cuff bracelet with a white leather backing, made by Julia. It would make a cool gift for a teeny bopper (do they still call them teeny boppers?). $30. Other color combinations available. Click here for more info. Coming from the Comanche Nation of Oklahoma, Ear Reigns (cool name, right?!) 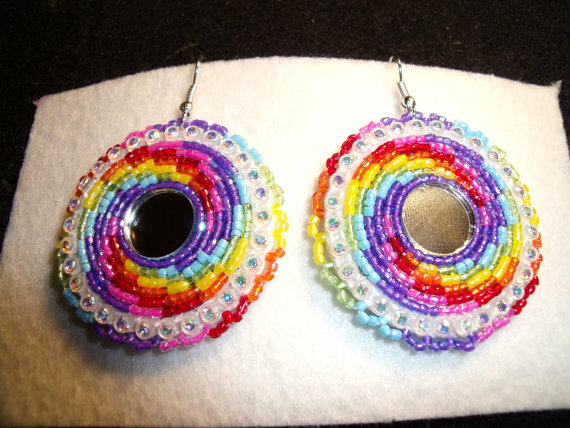 sells these colorful hand-beaded earrings. An awesome gift for a girl friend, cousin, or best buddy who is packin' a lot of sass. $20. Click here to find out more. This cool Bullet Case Necklace comes from Rainey "Nasuġraq" Higbee, an Inupiaq Eskimo artist from the North Slope of Alaska. Higbee and her husband own several different types of firearms, and they pick up the casings after they are fired and turn the 'waste' into some neat accessories. 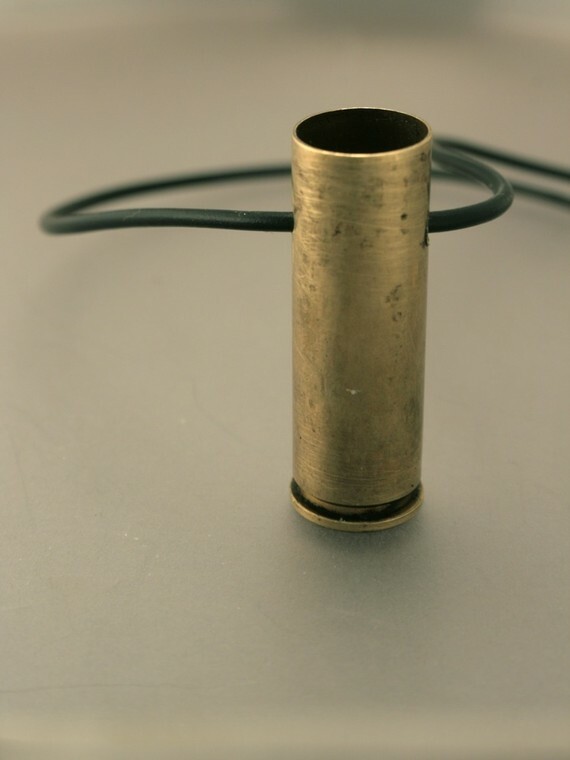 Strung on a black faux leather cord, this brass bullet casing is from a .500 bullet, the world's largest manufactured revolver round. For only $15, you can give this little gem to a guy friend (boy friend? ), cousin, or nephew. Heck, this is so badass you know girly girls would like it too. Lock and load. 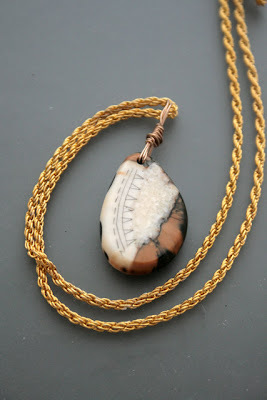 Also from Salmonberry Dreams, this pendant is made of fossilized walrus ivory. Delicate and permanent scrimshawed Inupiaq Eskimo motifs have been added to the surface. It measures about 1" long and comes on a 19" chain. 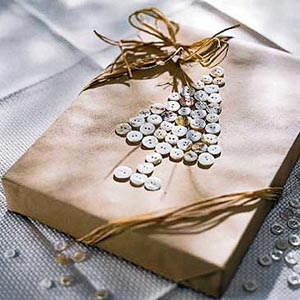 This is another cool guy gift. Time has turned the outer layer from deep cream to mottled hues of brown and dark blue. How cool is that? Tell your main squeeze it represents your love (through time, we get more beautifuller, ha!). $50. Higbee says, "I specialize in artwork created from the leftovers of the animals we harvest and rely on for food. Be aware that no other people besides Alaskan Natives are allowed to create pieces of art from walrus ivory, fossil walrus ivory, and polar bear." Click here to check out their Etsy store Salmonberry Dreams, where you will find many more awesome gift ideas. Now this is a neat idea that allows you to get a little creative too. This solid copper bracelet can be stamped with your name, someone else's name, or any word or phrase in English, Choctaw or other language. This would be a great for an uncle, or mentor, or, you know what would be cool? Stamp nokomis on this and give it to your grandma. Hey, we all know copper is good for arthritis! $34. 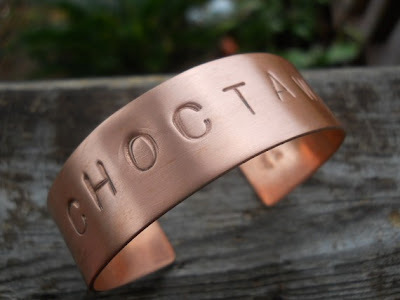 Enrolled in the Choctaw Nation, the artist is also into tradish-style trading! Yes! Lots of other cool jewelry on this shop site, so check it out. 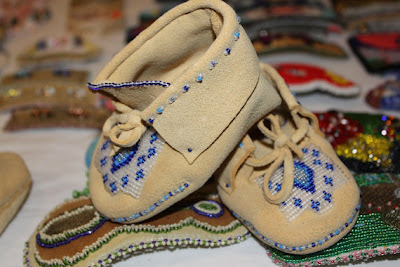 And finally, for your friend, daughter, or cousin who had a baby this year, check out these super cute mocs. This set was made by Nita, an enrolled Alaska Native artist, who her sells her stuff along with her family on the Tots-May-Wee shop site. $60. Hopefully I can spotlight a variety of artists from different regions who do cool things. I purposefully selected examples that are under $100 because I'm on the poorer side of things. But if you check out the sites, you'll notice that there are higher-end options that these artists offer as well. And finally, let me know if you have a favorite Etsy shop that should be highlighted on here. Metis artist Mark MiLan makes handbags, shawls, blankets, (and, yes, the iconic sash) based on the traditional fingerweaving pattern. Thank you for this. Not just for gift shopping but finding Native artists/artisans on Etsy, and giving them a signal boost. For me it has been usually a chore or just difficult sifting through Native crafters & crafts from the Native-inspired crafters & crafts. The latter often making themselves subject fodder for blogs like "Native Appropriations" and "My Culture Is Not A Trend"
There are artist bios and videos at their sites. They're both on FB too. Hey random/proxy! I will be showing some of Mark Milan's stuff in a future post - thanks for letting me know about him. If you don't like something this round, that's ok, I've got 10 more posts coming up in the next 20 days. And again, let me know of any Native-run Etsy shops that you would like to see featured on here! My sister and her husband (both Navajo) make some lovely handcrafted jewelry. They use recycled metals and local stones. My sister also makes some knitted items. Heaps of new stuff coming out for the upcoming winter holiday. 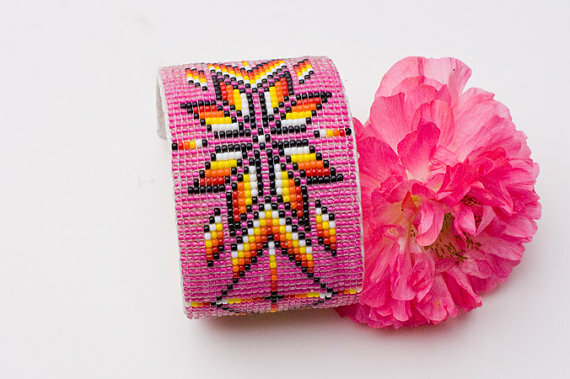 one of a few very talented native artists on etsy! Sooooo happy you are bloggin about this Jes! Support Native Artists on Etsy! check out ... In development! Your post was incredible and I like it. I am impressed with your creativity. You did a great job. Thank you for sharing.